Your Walking Liberty half dollar value is benefiting from collectors seeking to add these classic coins to their collections. The earlier years are especially valuable with many worth $20 to $40 and higher. Find a 1921-D in your group and the value starts at $107 for a coin in "Good" condition. The value chart lists all dates and mints from the common to the rare. Also striking is the rise in value from one "Grade" to the next. The uncirculated 1940 Walking Liberty half dollar pictured, because of the stunning condition has a value greater than $31. See more about condition, how it affects Walking Liberty half dollar value, and how to grade the condition of your coins below. Notice that dealers and collectors pay a premium for quality. Study your coins carefully, not only looking for rare dates and rare mints but for coins in rare condition. The above are the wholesale Walking Liberty half dollar value. Computed from dealer's price lists with various mark-up factors figured in. They reflect closely the value you would expect to receive when selling. The beauty of the Walking Liberty half makes the series one of the most popular and avidly collected. Better condition, less worn coins draw the most attention with higher values attached. 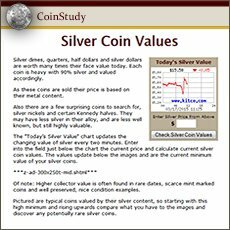 A quick look at the value chart shows better condition coins are prized by collectors. Carefully examine your coins, separating them by "Grade". The difference in value from the lower conditions to the higher more collectable grades is often very large. Greater detail in the gown and skirt lines of Liberty separates a coin in "Fine" condition from one in the lower "Good" condition. Sharply detailed, with only the slightest of wear describes a coin in "Extremely Fine" condition. The highest grade is "Uncirculated" also called "Mint State", a classification reserved for coins that show no signs of wear. Here the Walking Liberty half dollar value climbs to its fullest. 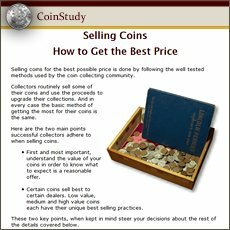 How do your coins compare? Are any of them in higher condition? Considering the early dates have large value differences from one grade to the next, accurate grading is important. There is help available. Collectors and dealers consider PCGS and NGC as leaders in coin grading services. They both authenticate and grade your coin. The small fee you pay provides assurance you understand and receive the full value of you coin. To help understand more about your Walking Liberty half dollar value, the descriptions in dealer and rare coin auction sites indicate the traits necessary for greater value. Most also include the PCGS or NGC assigned grade. In many years Walking Liberty halves were minted in fewer quantities at the branch mints. In those days few are saved in collections resulting in fewer available today, causing higher prices. Two mintmarks to look for. 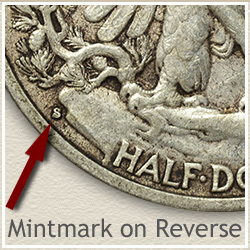 The Denver mint, identified by a "D" and the San Francisco mint which used an "S" mintmark, both are located on the reverse along the rim just above HALF DOLLAR. Use a magnifying glass to help find these rather small mintmarks. The Philadelphia mint which produced large quantities of Walking Liberty halves did not use a mintmark. Here is a special situation, 1916 and also for part of the year in 1917 the Denver and San Francisco mints placed their mintmarks on the obverse of the coin. Both are well worth finding as the values are higher than the coins with the mintmark on the reverse. 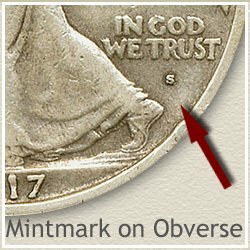 To locate the mintmark, look on the obverse under the motto IN GOD WE TRUST. Again the "D" and "S" mintmarks are small. The beauty of the Walking Liberty half makes the series one of the most popular and avidly collected with a long history of rising values. Attracting new collectors who appreciate the beauty and value potential. Most begin assembling collections. This demand for outstanding coins certainly causes your Walking Liberty half dollar value to rise. Consider your group of coins as the beginning of a coin collection. The start of an enjoyable and rewarding hobby. If that is not for you, one successful approach is to sell all your coins and use the proceeds to buy one nice rare coin. The one you were hoping to find in the box. Pass the thrill of a rare coin on to your children. A blazing gem Walker is an amazing sight. The most unlikely looking coin is often the most valuable. So... handle them gently, never clean your coins and check back in the future to update your Walking Liberty Half Dollar value. Many times the difference from one grade to the next is substantial. Follow along with the video, images and descriptions to judge and grade your Walking halves. Print the Coin Values Worksheet - link in navigation column - to list your Walking Liberty half dollars and record their values. Should you decide to sell... use the worksheet as an invoice and packing slip when sending coins through the mail to dealers. It indicates you have done your coin values homework.